We’re very happy to say that we’ve built our blog to a point where it can pretty much support our lifestyle. But we didn’t make it this far without mistakes. In fact, for the first year of our blogging career we made nothing but mistakes! But we’ve learned from these errors and now that we’re blogging for a living and travelling the world off of our website’s earnings, we feel like we’re in a place that we can share with others and maybe help some budding bloggers along the way. There are many ways that people can make money online, but these are 5 easy ways that this blog helps us to stay on the road… and they can easily keep you travelling too! There was once a time when sponsored content was all the rage in the travel blogging community. It was like a gold mine that everyone was dipping into but we all knew that one day it would explode. In the past, this was the main source of our blogging income and it basically worked like this: an advertiser would contact us (or we’d reach out to them) to ask if they could publish an article on Goats On The Road. Inside the article there was a link to their company or brand and they would pay us upwards of $250 after the piece was published. We usually preferred to write the articles ourselves, so that we could ensure that they were high-quality and our audience would enjoy reading them. Sometimes, the advertisers supplied the content and if it was good enough, we’d publish it on our blog, in which case we’d simply cut and paste the text and make about $150-$250 in 10 minutes. Pretty good wage! 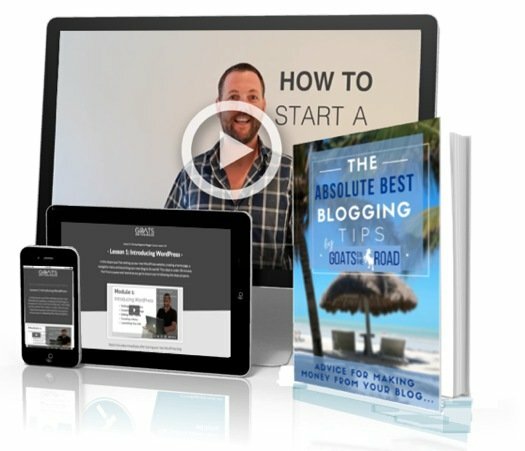 This method of earning blog income may sound too good to be true… and it was. We’ve recently had to stop this type of monetization because web spammers have been taking advantage of it. Seeing the earning potential, spammers (and even some of our blogging colleagues) opened numerous sites solely for the purpose of making money from sponsored content. They posted anything and everything as long as they got paid. Google has a problem with this. The web is now saturated with poorly written sponsored content and so Google has started to penalize bloggers for all forms of sponsored content. 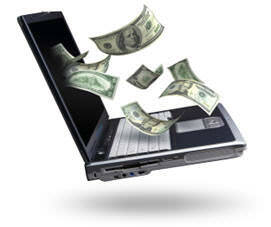 This is a great way to monetize a site with lots of traffic and it’s really not that hard to get started on. We have a few banner ads on our side bar, most are affiliates and one is paying for the ad space. The problem with these ads is that you usually need a considerable amount of traffic to get any real money out of them. Another major problem is that you can’t have too many. If you start clogging your pages with flashing ads and pictures of products, your readers will become annoyed and may even stop reading your blog! To get started with banner ads, here are a few good sites that can start to fill your sidebar and your wallet. BuySellAds: This one is pretty picky and it’s hard to get accepted into their marketplace. Expect to be denied unless you have over 50,000 unique visitors and even when you’re part of the marketplace, you’ll have to actively pursue advertisers in many cases. With BuySellAds you can choose to charge a flat monthly rate or by CPM (click for wiki description). Google Ad Sense: The king of ads, if you join Google Ad Sense you should start seeing some money roll in almost right away. The problem is that for travel blogs, you’ll probably have to have a ton of traffic before you receive any real pay checks from Google. Click Bank: Another great network with many advertisers looking to place ads. Sign up, ad the code and wait for the money to start rolling in. 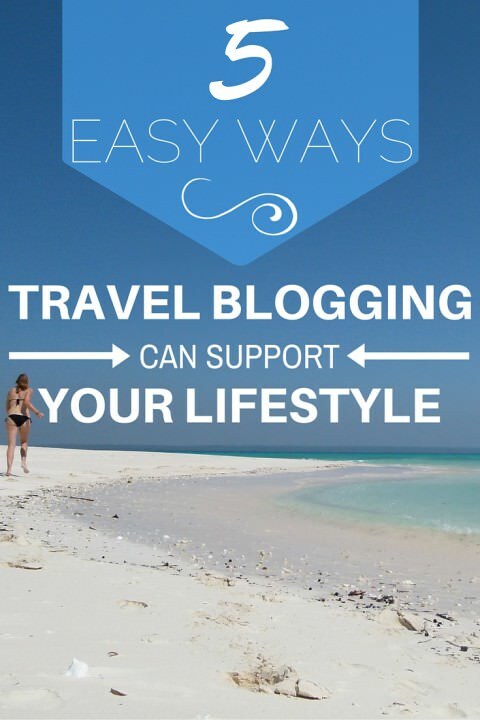 Another great way to make money from a travel blog is through affiliate sales. 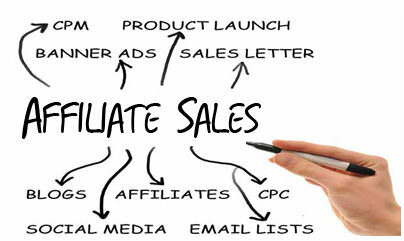 An affiliate sale is when a reader books a service or buys a product through a link on your site. For example, you recommend a great backpack and tell your readers they can “click here” to buy it on Amazon. If you’re a member of the Amazon Affiliate Program, then Amazon will pay you a commission for sending that reader over. To make a lot of money from affiliate sales, you should learn how to write good, SEO friendly copy. “Copy” is basically a great post that shows up in search engines and leads readers to your affiliate links. Perhaps you write an article “5 best Travel Insurance Companies For Backpackers” and each insurance company is an affiliate link. If you can get that article to show up on the front page of google for relevent search terms like “best travel insurance”, then you’ll be making some serious cash! Speaking of Travel Insurance and affiliates, we use and recommend World Nomads as the best travel insurance for backpackers! Click here to find out why. The great thing about affiliate marketing is that you can write a post or set up a widget or a live link and just watch the money start rolling in. 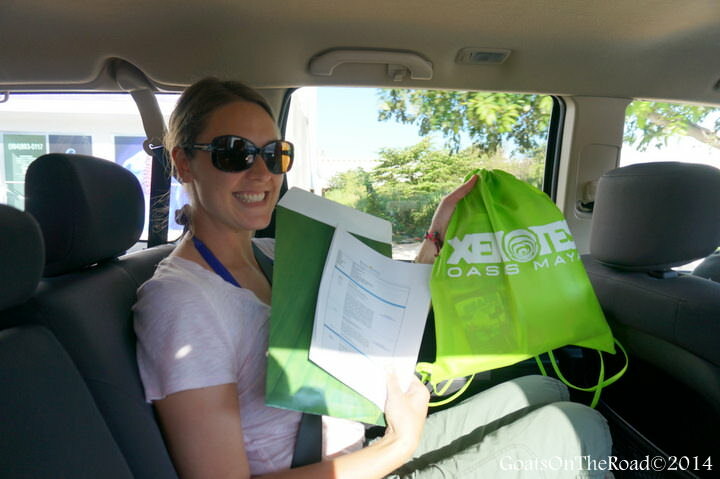 For travel bloggers, there are some great affiliates that will definitely pay you some money. For us, the best partner has been World Nomads Travel Insurance. We have links throughout the site as well as a handy sidebar widget that allows our readers to get a quote for travel insurance instantly. But there are plenty of others too and they’re all very easy to join. Some others to consider include Booking.com, Hostelworld.com, VisaHQ.com, amazon.com and expedia.com. Goat Note: Once you’ve joined an affiliate partnership programs, download the WordPress plugin: SEO SmartLinks. This plugin will allow you to link certain keywords on your blog to a specified URL. Once you’ve got the plugin, add words like “Book a Room” to the admin and the plugin will make that term always point to your Booking.com affiliate link. That way, anytime you have written “Book A Room” in your blog posts, it will automatically link to your affiliate site and make you money! Okay so this isn’t exactly a way to put money into your bank account, but all travellers know that if you’re not spending money, you’re making it. I’m sure you’ve heard of travel bloggers jet setting around the globe and getting free accommodation all over the place. While it is true that we don’t pay for some rooms, they definitely aren’t “free”! Once you’ve developed your blog and you have a healthy readership, you may start contacting resorts and tourism boards to partner with you. Tourism Boards offer press trips with hotels, food and tours all included. Another option is to contact individual tours, transportation companies and hotels that you want to stay at, and by-pass the tourism board. We think putting together your own trip is better than the tourism board setting it all out for you. Either way, it’s important to note that it is a partnership and a business transaction. Therefore, they are expecting some sort of ROI (return on investment). You’ll have to write articles, make videos, tweet, share, +1 and whatever else you can do to promote the companies you work with. Press trips are a great way to experience a region without spending money, but they are also a great way to network with like-minded people in the travel industry. We just completed a 19 day trip through St.Vincent & The Grenadines and we didn’t pay for any accommodation, tours or transportation the entire time. What a great trip! Well this one isn’t going to fully support a lifetime of travel, but it’s always nice to get free stuff in the mail right? Once you’ve developed a significant amount of reach with your blog and social media profiles, you may just have companies itching to give you free merchandise in exchange for sharing their brand with your readers. We’ve been offered everything from the J-Pillow to the TravelCard Smart Phone Charger and cool travel pants by Bluff Works! Saving money on travel gear is always a big bonus and the more reach you get, the more companies will want to send you their garb. We all like free travel gear, but as a travel blogger it’s also great to help expand awareness of a start-up businesses with a great product. Travel blogging is a great way to support a life of exploration and for us, starting a travel blog was the second best decision we have ever made (next to starting our life of travel). Of course we enjoy making money off of the blog, going on free trips and getting free stuff in the mail, but another great part of blogging is being able to connect with other people all around the globe and help to show them an alternative lifestyle, free from location dependant jobs! Starting a blog is easy and if you start one today, you can have it up and running for as little as $3.95/month, and as quickly as 1 hour! So what are you waiting for? 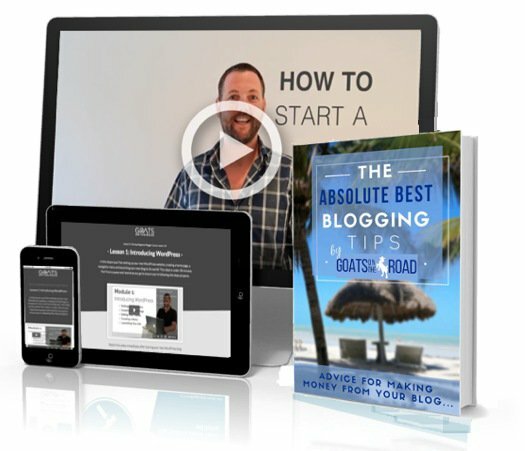 If you’re interested in travelling and want to make money while you’re doing it, now is the time to start your travel blog and look to a future of making money online. Once you’ve got your traffic up, you can take advantage of these 5 easy ways to support your travels from blogging! ummmmm how genius is that SEO smart link plugin!?!? first I suppose I should join a booking affiliate but wow, thats cool. haha! Yes, it’s a great tool for sure 🙂 You could also use it to link to a particular article throughout your site, doesn’t have to be an affiliate program. Wow, great post. I’m very new to the travel blogging community and new to my own travel blog as well, so I’m a long way away from actually making money (which probably will never happen)… But it’s cool to see how it all works together! Following 34yrs in the armed forces and Fire & Rescue service I have finally reached retirement age (although I will still have to work part time doing something), with this in mind I have decided to travel round SEA for four months, I was considering doing a blog but just was not sure if it was worth doing for such a short journey. What do you think is it a viable thing to do? I would like to travel for longer or at least for 3-4 months every year and if doing a blog could help to fund this traveling in some way then it’s something that I will do. The only issue that I have is that I’m not to computer savvy at the moment, yes I can do the basics but beyond that !!! I have really enjoyed reading your blogs, all of them are very interesting and packed with very useful information. Thanks for the advice on SEO Smartlinks. Had no idea this existed. Will make for a great little addition to my blog! Cheers guys! You’re welcome 🙂 Happy blogging. This is wonderful, I’m really happy you got to the point of living out of your biggest passion in life and inspire others to do the same 🙂 (At least, you’ve always been an inspiration for me). 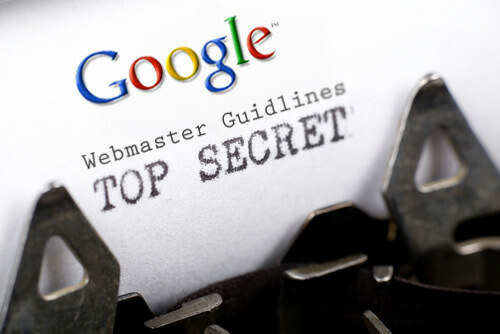 Google changed and a few people got seriously penalized by the new rules. I got a PR1 right after I started my blog and as soon as I moved it to a self hosted wordpress website, it lost the PR and have been stuck on a PR0. I don’t know if it was the change or they think I have affiliate links (which I don’t). This forced me to unfollow all links with the exception of guest posts from fellow travel bloggers. Maybe one day the numbers will go up again. Thanks for the kind words…as always 🙂 We really appreciate it. It sounds like there was a flaw in the migration of your site over to wordpress – you shouldn’t have lost your PR from transferring over. We are a PR2 and have no idea why we aren’t higher too! Oh well, PR doesn’t matter so much these days. Oh, and affiliate links are ok by Google, but the Sponsored (commercial) ones are not. I’ve seen sponsored posts from other newbie bloggers and I think its the quickest way to lose a fan base. Nothing turns me off more. Maybe you can get away with it when you have 300 articles, but when you’re a new blogger nothing distracts from your voice like a crappy sponsored post. Same thing for banner ads. Some blogs look like a cheap strip joint with all their flashing neon ads all over the place. This whole idea of making easy money off a blog is deluded. Do it because you love it. With time your audience grows and you can think about making money with it without selling out your blog. I think you guys are a good example. We’ve probably gone to the opposite extreme. No monetization efforts of any kind so far and have rejected requests for sponsored posts. We blog because we enjoy it. If/when we get the kind of traffic that warrants monetization we’ll look at it, but that’s a ways down the road. But my philosophy is that one shouldn’t chase the money – when you have enough traffic it’ll come to you. Well put. WE started off blogging because we love travelling and wanted to share our stories with people in the hopes that we could be inspiring. We soon found out that we really enjoy writing, taking photos and making videos! For us, we needed to monetize our blog in order to stay travelling and we’re very happy with how things have turned out. Thanks for the tips guys! I’m just starting out my blog and am loving sharing stories and hopefully inspiring some other young people to get their adventure on. 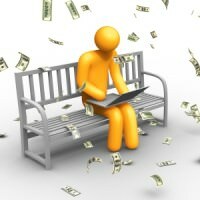 To be able to make money at the same time, now that would be sweeeet! Your blog is my biggest inspiration- your awesome! Thanks so much for the kind words 🙂 and good luck to you and your new blog! This article is very helpful, i just need to ask you when you started putting these ads or started contacting the sponsors? i am in process of writing my blog and i need to add some of the websites on my blog but shall i contact them now or after finishing my writing? We didn’t have any advertising on our website until about the 2nd year! We weren’t making any money for quite a while so it was just our own writing at the time. You can try to get some advertising on your site right away though, it’s up to you. It may be more difficult though as they will probably want you to have a certain page rank, domain authority or a certain amount of traffic as well…but give it a try! I just stumbled upon your blog and currently addicted to it! thanks for posting this – this is such a great introduction on how it all works! Thanks for all your clear, coherent and extremely organized articles! Great post! I’m gonna try following your helpful tips and downloading the SEO SmartLinks plugin right now! Thanks for the advice on SEO smartlinks. This article is very helpful to search about affiliate marketing.Very informative and interesting article.Thank u for sharing.